Digging Graves and Stating Youth! I can't believe that almost a month has past since I got back from France. 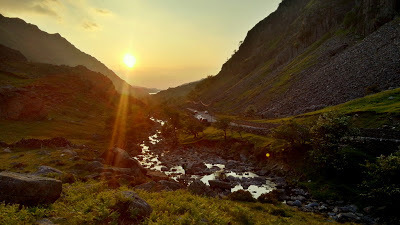 My return coincided with almost two weeks of amazing weather in North Wales, it was just as hot here as it was in the south of France! With my climbing desires temporarily quenched I quite enjoyed sitting back and enjoying the sunshine, catching up with friends, work, BBQ'ing, swimming and getting some veg planted in the garden. I was reminded (as I am every year) that when the sun in shining there is no better place to be than home in North Wales. When the sun is shining there is no better place to be! But I could't sit still for long, with all the mountain crags dry it was too good an opportunity to pass by. Still feeling pretty fit from two weeks of sport climbing Luke and I were keen to have a go at Pretty Girls Make Graves. 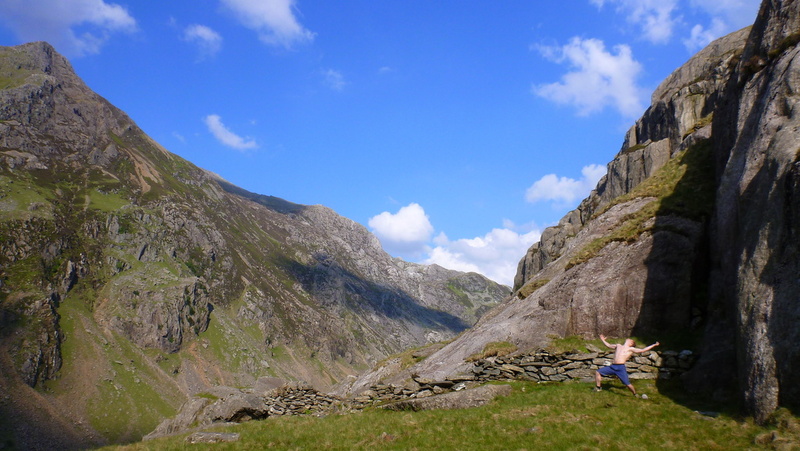 A well known, well protected E6 in Cwm Glas Bach in Llanberis Pass. We both failed on the onsight attempt, we managed the route ground up second go with the gear still in place. This made it (almost!) 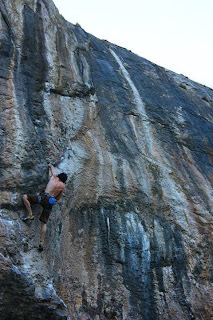 feel like sport climbing (maybe around 7b+). Although it would have been nice to get it onsight it certainty did not feel like a failure! 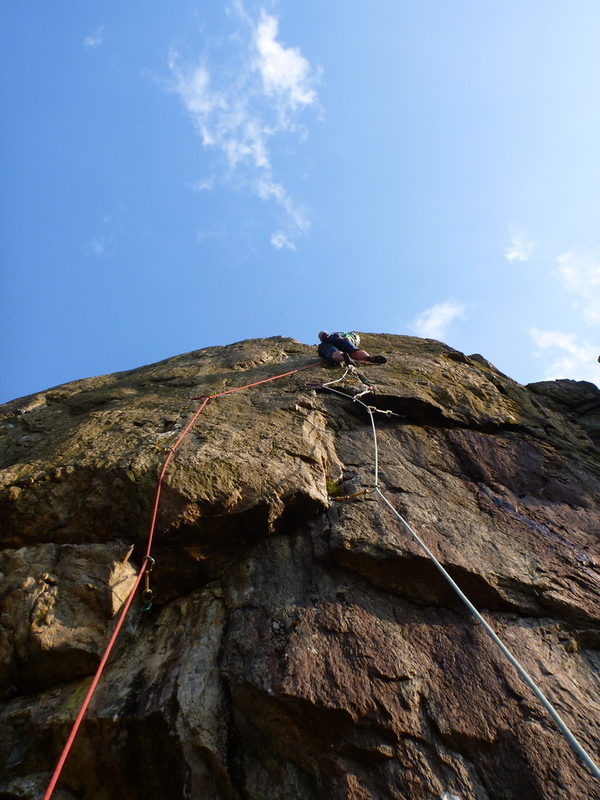 We both had a great day out, I'll always remember finger locking my way up the top crack in gorgeous evening sunshine. The route was my first E6, but given the style it didn't really feel like it. Why can't it always be like this! 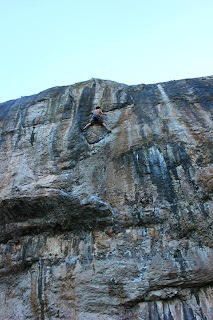 The next couple of weeks flew by, being quite busy with work and mixed weather I got out a bit less than usual but still managed a couple of days out bouldering, a fun evening in Castle Inn, and a zero carbon emission climbing session in Vivian quarry (we biked there!) with Amy. One evening last week came the big one for me, I finally managed a successfully red point of Statement of Youth 8a down at LPT. 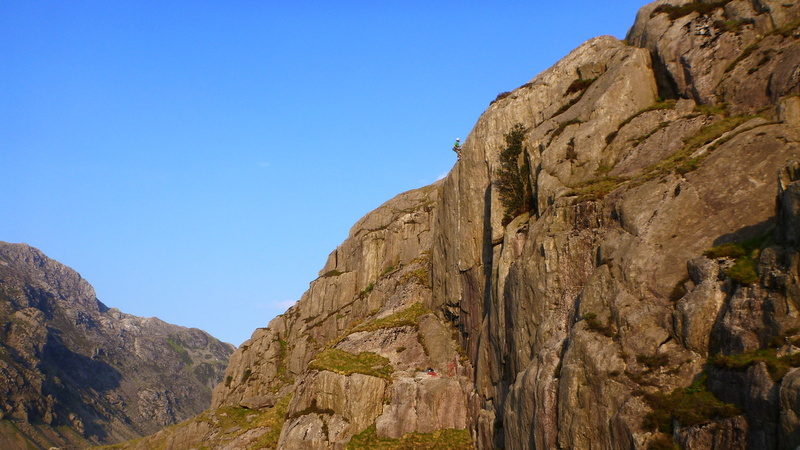 It was the first route of the 8a grade to be put up in the UK by Ben Moon in 1984, today it's still widely regarded as quite a tough 8a and a total 3 star masterpiece. The route took me about 5 sessions spread over two months and maybe around 6 or 7 proper attempts. The climbing on the route is amazing, very technically involved and very dropable in lots of places. Surprisingly given that the hard climbing only kicks in half way up the wall it's still a power endurance monster with a very dropable crux right at the very top! A month ago before I went away to France I came close, falling off the end of the top crux. Thanks to Amy for filming my attempt. The ending is quite exciting!